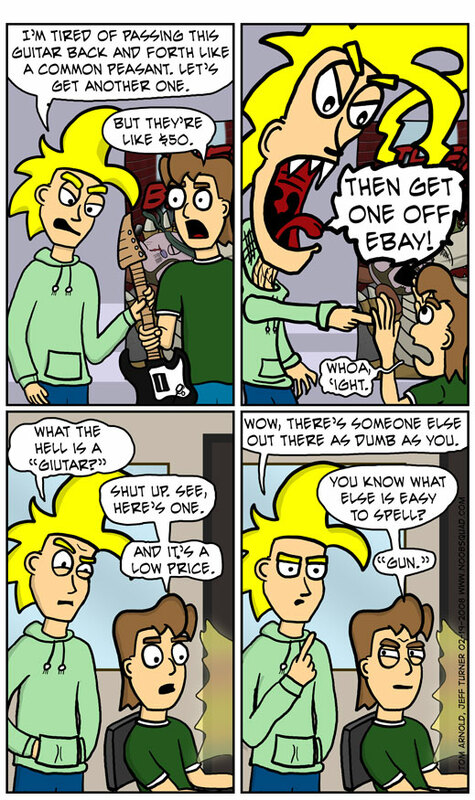 N00b Squad - "Gunna be a Rockstar"
Here's part one of our Rock Band special. Update to come later today. Didn't have an update earlier due to my dog becoming another dog's chewy toy. :( However, part 2 of the Rock Band Special is on its way and in the meantime we have a new Smash Brothers Brawl T-shirt to prepare you for the onslaught of competition that awaits you. That's right, this time YOU are the challenger. 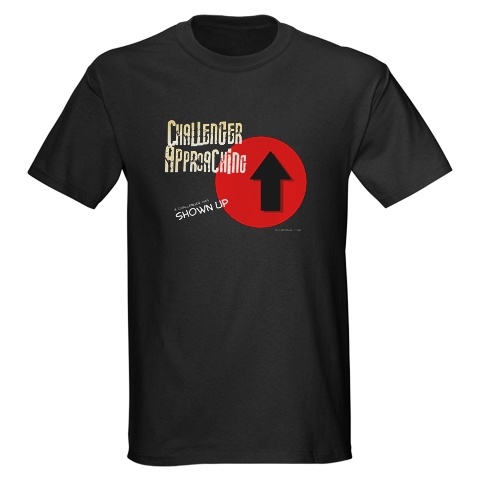 We have updated the Challenger Approaching shirt to reflect the North American release of the game. The bottom corner now says "A new foe has appeared!"